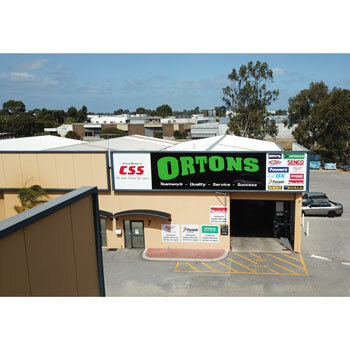 Ortons is the largest supplier of Building consumables to the carpentry industry in Perth, West Australia. Established in the early 80’s it has grown into one of the top service providers throughout the building industry. Ortons is renowned for its first class customers service, quality products and a free onsite delivery service all coupled together with a team of well trained professionals. We provide fasteners, power tools, nail guns and associated products. We cover the entire metropolitan area with three Iveco vans specifically setup as a hardware on wheels. Ortons also has a store in Bunbury and one Iveco van that services the Southwest of West Australia and is opening new markets in all trades. We have a fully equipped workshop for repairing tools and we will collect and return the tools to site without the tradie leaving the worksite, all this is part of our Customer Service philosophy.